DNS associates can help small businesses and contractors in the Kenton area with accounting, taxation and employment matters. From statutory accounts to pay-as-you-earn (PAYE) tax to business monitoring, our chartered accountants and tax advisors advise businesses in the most apt way. We have years of experience working in the accountancy practice, tax and advisory, and work across more than 15 industry sectors with a prime focus to deliver measurable and lasting results. Finding an accountant who gives a FIXED price. What needs to be done to set up the business? Service, Consistency and Transparency – The customers know exactly what they are being billed for. Certainty on the tax base. How to reduce the tax base? Nomisma Solution is cloud-based, fully incorporated book-keeping and compliance software, designed for accountants and their small business and contractor/freelancer clients. From an Accountant’s standpoint, Nomisma offers an integrated solution at a very competitive all-in-one price, providing bookkeeping/accounts production/full compliance (tax, VAT, expenses, dividends, payroll, and filing). Nomisma is a user-friendly bookkeeping and compliance system that is suitable for small businesses, freelancers and contractors, and the solution is great value for money. It can be time consuming to keep pace with ever changing legislation and regulations and can distract the business owners from the sole purpose of maximizing revenues. 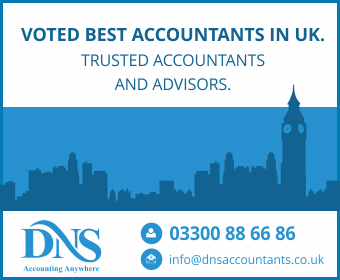 DNS Accountants – Accountants in Kenton, provide accountancy & taxation servicing that meet the needs of local businesses and tax payers, in and around Kenton and the surrounding areas. Our expert Chartered and tax accountants in Kenton help clients in services ranging from completion of year end accounts and annual returns to Real Time Information (RTI) payroll, bookkeeping to tax advice and savings, Value Added Tax (VAT) and business plans. As registered accountants, DNS Accountants help clients meet their statutory requirements. The experience of our learned team of chartered accounts in Kenton enables us to tailor the accounts specifically to the clients and the sector in which they operate which in return enables improvement and efficiency in the working of the business. As accountants, we believe that accounts is not just a statutory obligation rather, a chance to identify possible risk areas and make advances, thereby adding value to your business. It the fundamental duty and legal commitment of any company registered at Companies House to prepare and submit annual accounts. Our expert team of Chartered Accountants and taxation accountants at Kenton, Maidstone and Rochester, guide clients at every step and ensures complete transparency right through the process. In addition to preparing statutory accounts, our Chartered Accountants and taxation professionals in Kenton help in monthly and quarterly accounts management to keep the business informed of areas, which the business might not see on a day to day basis and ensure the success of the business. Preparing weekly or monthly payroll can be a lengthy process and it’s difficult to be aware of the ever changing employment legislation. Our tax accountants in Kenton offer advice, guidance and support to individuals and businesses by performing the convoluted and detailed work of providing our clients the highest efforts toward reducing their tax exposure. Tailored wealth succession can be complicated. It can be hard to settle disputes or handle investigations arising from either HMRC investigations or employment concerns. With years’ of experience in dealing with tax inquiry and investigation, our Chartered Accountants and Tax Accountants in Kenton, maidstone and rochester, can help businesses resolve any investigations they are faced with and avoid legal action in disputes. DNS Accountants – Accountants in Kenton, provide specialized accountancy and tax services that are adapted to the personal and business needs of small-businesses, freelancers and contractors. Our Chartered accountants and tax accountants focus on providing dedicated and professional services to all local businesses and individuals operating in Kenton.